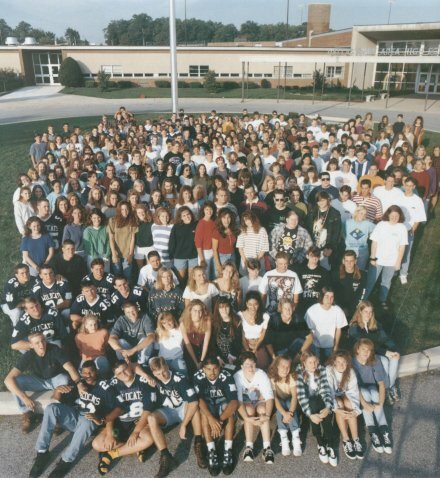 I am currently looking for Volunteers to help with the planning of our 15th year Class Reunion. Please send me an email so that we can get our first meeting planned. I know it is the holiday season, but I don't think we really would need to meet until the new year anyway. Help is needed with fund raising, aquiring donations for raffles, as well as all-around planning for the night of the reunion itself. Thank you for your help. Graduated from Penn State with a degree in Business Management and a minor in Economics in 2000. Worked as an economist and market analyst at USDA for two years before moving to the Bureau of Economic Analysis. After five years as an economist there I recently became the Assistant to the Associate Director and love the job. Finished my M.A. in economics at Johns Hopkins in 2006. Have competed in various mountain bike and adventure races since 2002, winning occasionally. In the last two years have been concentrating on triathlon and finished two ultra-distance races (2.4mi swim, 112mi bike, 26.2mi run), most recently Ironman Florida in November 2007. Also finished 8th overall at the very cool Liberty to Liberty Triathlon (NY to Philly) this year. Serve as a Board Member for the Annapolis Triathlon Club and helped organize the inaugural Annapolis Triathlon last September. Bought a townhouse in Annapolis in 2002 and commute to Washington, DC for work. Current status: three bikes, one rescued cat, and zero spouses - precisely as planned (except I would like more bikes).